Let’s try a little exercise: Can you list everything you own from memory? Didn’t think so. Here are a few tips for completing and storing your inventory:Add brand names and descriptions where you can, especially on large-ticket items. Serial numbers are helpful to note. Store your video or photo inventory offsite so you won’t lose it if your house is damaged -- or let us keep a copy for you. 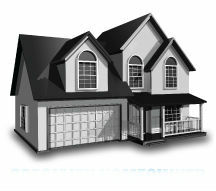 We can help you with your East Tennessee homeowners and other personal insurance needs. Contact us today!